As Halloween gets closer and you want to avoid the chilly darkness of October evenings, grab a blanket and stream a marathon of scary movies. Horror flicks are classic fun, whether they're good enough to keep you up all night when you're home alone or bad enough to laugh at while with a group of friends because we all know what's going to happen next. The classics follow a simple formula, but it works. The same is true when it comes to your finances. Spend less than you earn, pay off debt and invest your money with trustworthy people. Still, we have trouble getting all of the complex parts of our financial lives sorted out. Let's try applying the scary movie formula to your finances so you'll never have that heart-racing moment of panic when you check your balances again. The scary cat. In the first 15 minutes of all the classic horror movies, our protagonist gets startled by a cat. It's a silly little trope that keeps coming up, but screenwriters use it because viewers tend to get bored without a scare in the first few minutes. Bringing out the monster too early can kill the suspense, so it's an easy-to-insert moment to keep viewers on edge. Watching scary movies in my household, I can tell you that it works: That stupid cat has caused my heart to race faster than any workout I've done. Are you jumping from the cat? 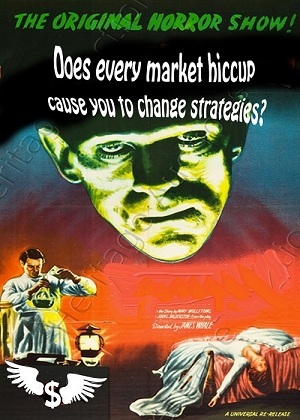 Does every market hiccup cause you to change strategies? Are you yanking money out of savings to throw at the stock market (or vice versa) every year? It's time to get past that initial scare. The market isn't going to kill you overnight, just like it won't make you rich overnight (Black Tuesday 1929 and Google's record-breaking July 15th notwithstanding). If you want to develop a plan with which you can feel safe during the scary cat moments, give us a call at 410-663-2500. If you want to do it yourself, we can get you into a safe plan for saving with a high yield account or certificate in just a few minutes, which can help balance the risk of your other investments. If you're trying to build a safer safety net for retirement or college savings, we've probably got more savings options than you've ever heard of, many of which have major tax benefits. We can walk you through a few plans, help you pick the one that's right for you, and in many cases, we can even set it up with automatic deposits so you don't have to think about it again. The victim who runs upstairs when she should run out the door. Why? Why? Why are you running upstairs, you silly soon-to-be victim? Of all the silly horror movie clichés, this is the one that drives me bonkers. We always get a few establishing shots of the house early in the movie, which shows us that this house is enormous enough for a final-reel chase scene with the killer. No one needs this much house. It's usually a teenage girl with a single parent (who is not at home) in a house big enough to hold the entire football team of her late boyfriend. Do you have too much house? Are you cleaning extra bedrooms you don't use? Do you have a home gym, office, or library that you never visit? Maybe it's time to simplify. You can sell that house and move into something a little sleeker, and use your windfall to put in all of the custom features you've ever wanted on that new house. Which would you rather pay for: the storage room that's basically a walk-in junk drawer or a dressing room with a walk-in closet? Give us a call to find out how we can help you. The killer who just won't die. In every great horror movie, there's a killer with an uncanny ability to survive anything the protagonists throw his or her way. In your finances, sometimes large debts can feel that way. No matter how fast you run, they just keep coming, like Michael Myers chasing Jamie Lee Curtis through two decades of Halloween movies. You throw cash at the balance every month, but nothing happens. What can you do? If you want to kill a scary movie monster, you can't do anything that the protagonist does in a scary movie. After all, the scary movie wants to make a sequel, but that's the last thing you want out of your debt. Instead, let's adapt a strategy from the Terminator: Even an unkillable robot from the future can't stand up to a vat of molten steel. You need to submerge your debts in one large vat that can consume them all: Turn all of your high-interest, variable-rate, hidden-fee credit card debts into one simple, low-interest, fixed-rate homeequity or debt consolidation loan with all of the transparency and confidence you've come to expect from Destinations Credit Union. The first step is calling a Loan Officer to discuss your goals. Through our partnership with Accel, you can also get free unlimited financial counseling to develop a plan. 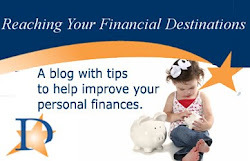 Hopefully, your finances aren't a horror movie. Horror movies play on our fears for entertainment, but it's not as fun in real life. If they are, though, it's better to call in some help than it is to split up and try to explore the woods alone. That's why we're here. With a little help, your money can look more like a swords-and-sorcery epic: Everyone's a hero and everyone gets a happy ending.